My Favorite Things: Testing...testing...and trusting. I trust that all of you in the midst of this Polar Vortex are keeping toasty warm! So I have a bit of an update on my condition but it is still very much in the testing phase. I am trying not to share too much, too soon, but I have had some encouraging news! ...no malignancy from what they can tell so far!! I had vials and vials of blood taken last Friday...testing for any hidden cancers anywhere. I am still waiting for the results...some of them take days. But I do know that I will be having another biopsy, possibly a surgical one next time. The team was to discuss my case yesterday (Tuesday) and decide what's next. After ruling out any malignancy, they will be focusing on the pancreatitis and how to treat it. It's a good feeling when you hear the oncologist say that he may not be seeing you again! Let me just say that I am praising God and trusting Him in the midst of all of this uncertainty. And I thank you for the emails, cards and continued prayers! 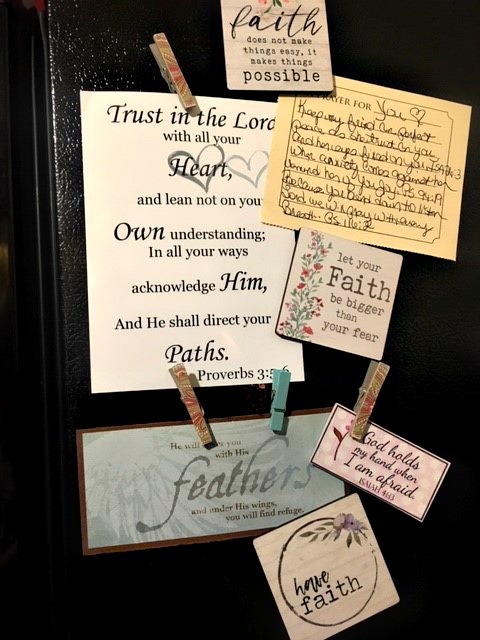 Here is my little "faith cluster" I have started on the side of my fridge. I am so thankful for these encouraging reminders that some of you have sent to me. I have no doubt that the Lord has me in the palm of His hand! 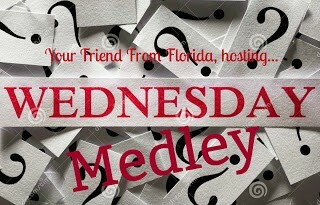 So let us get to the Wednesday Medley, shall we? 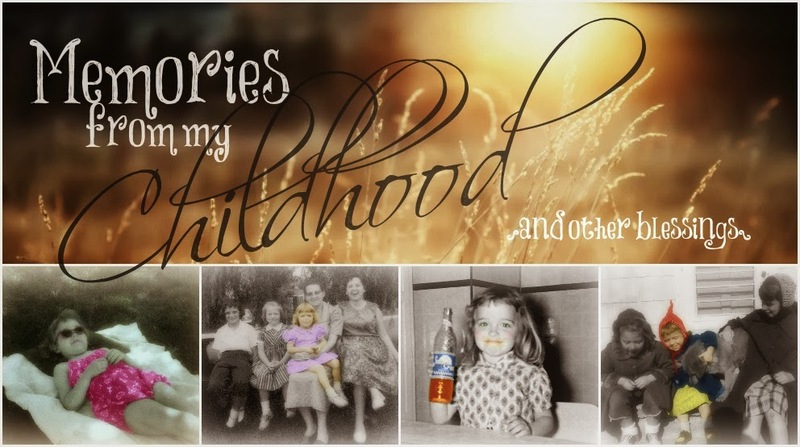 Head on over to Terri's blog, copy the questions, paste them to your blog and answer them! All of the above. I believe that any of them can ultimately lead to hatred. As far as how they affect me...I do my best to not let the actions of others dictate my life. I really just pray for those people and situations that I have no control over and let the Lord handle it. I would say positivity and enthusiasm would be my strengths...but my constant prayer is that the Lord would give me more of a compassionate heart. I don't think we can ever really have enough compassion. Since it's just me and Jim, there are very few things that I have to buy every week. It used to be eggs...until I lost the taste for them...for some reason, I can hardly eat them now. The only other things I can think of would be a roll of paper towels or maybe half & half for Jim's coffee. Since Jim is away from home half the week, I don't do a lot of cooking. Yay me! 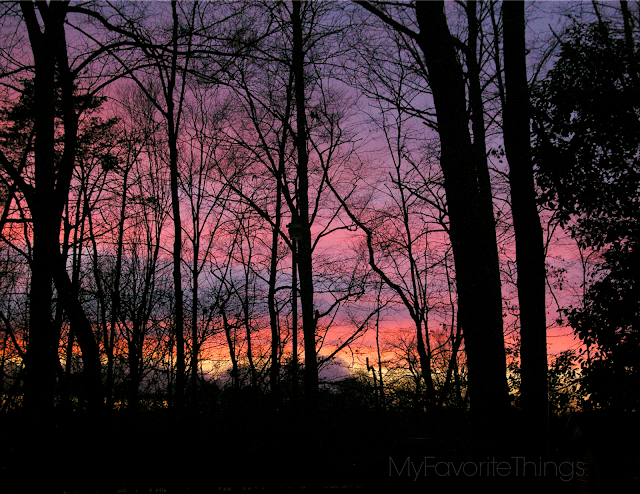 This is the sky from last night...it was absolutely breathtaking. I went out to snap a couple of photos and I was totally overwhelmed. God is so, so GOOD! Oh Debby, that news is so encouraging. I'm going to gear up my prayers. Waiting for news is so difficult. I'm glad they are being thorough and it does sound like...so far, so good! I'm keeping you in my prayers. Take care of yourself my friend. You are always so grateful and thankful and God loves that...and loves you! Hugs! That is such encouraging news, Debby! I will be praying that it is "just" inflammation ... although inflammation in itself is a concern, yet it is far easier dealt with than cancer. And then that sunset ... oh, my, what an encouragement and blessing straight from the hand of God! The Creator of that amazing beauty loves you and is in control of every single detail of your life! And He has a good purpose in all that He does. He is so good! This is such encouraging news. You are still in my prayers for strength, to stay strong whatever the outcome. Take care. Yabba Dabba Doo and Praise the Lord! Pancreatitis is no picnic, yet once the doctors and The Lord get you straightened around... Wonderful, amazing, news! I like the idea of your saying goodbye to the oncologist. Now the plans that The Lord has can go forward. You’re going to be in your new home yet! That sunset! Incredible. And a gift for you, a God wink. Thank you for going out to take that photo. I am so happy to hear this news!!! God is so good and will take care of you no matter what! I also go to prayer if I find myself stressed. What a beautiful sky! Now that you post that, I have a picture I could have shared from Monday of the sunrise. God creates the most beautiful sky! I am in awe every morning as I drive to work. Loved your answers! Have a great day! I just backtracked over your earlier posts. I'm sure you're feeling more positive after the latest medical updates. The strength gained from prayer can be amazing and there is a lot of positivity gained from sharing things on our blogs. It also takes courage to put things out in the open. You definitely have courage. Oh that is good news, Debby. I hope that all the blood tests will give the doctors a good course for your treatment. Glad you've been encouraged from friends and loved ones. Glorious sunset! God is so good! Yes, He is.I praise God with you that the biggest fear of cancer has subsided. I trust that they will find the right treatment for you and get you back to full health before spring rolls around. Keeping on praying and waiting for God to do His mighty work. God is taking care of you for sure. We'll all continue to pray for you. Take care! Sweet Debby, I am praising the Lord with you! I received your lovely email yesterday and oh, I can't tell you how happy I am to read such good news. My mom came over for a tea party yesterday and I shared the news with her. That's such wonderful news. Prayers are powerful. I have been wondering and praying about your test results, and am so thrilled to see that things are looking good...and we will keep praying for a clean bill of health once they get to the root of the inflammation, etc. Praying hard. God is hearing our prayers, and this is so encouraging. We all need this good news. It affirms our faith and gives us all hope. Lifting you up now, and praying that God will continue to heal you day by day. Such wonderful news. Love your answers...and that sunset last night was magnificent. I tried to get pictures while on the road last night, but they weren't as stunning as yours. However, God always shows His handiwork in the skies if we are just paying attention. Our God is an awesome God!! I am so thankful to read this...God is Good! oH- I hope it is pancreatitis...not that I would wish that on anyone but it is treatable and can be controlled...and much better than a cancer diagnosis. We will just pray you through this next step of getting your results. PLEASE post whenever you can so that we know where you are at and so that we can pray for you. Oh that is great news. Thank God. When I'm upset I can't eat at all. That evening sky is beyond breathtaking! I can only imagine how beautiful it was in person! Thank you for joining the Medley and for starting your post with such positive news!! Keeping you in my prayers! Oh, Debby, I could hardly wait to read this update and I am sooooo encouraged by this good news. I know you must feel so relieved thus far. We continue to pray for good reports and a full recovery very soon. Hugs to you!!!! What a relief to hear this encouraging news!! More tests, and more waiting . . . but with increasing hope of good health in the end! I will continue to pray for you, friend! Praising the Lord with you and so many others!! Yes, my dear Stephanie shared your letter with me, thank you! Prayers will continue for you and your family. That sky is positively magnificent! Trusting for more good reports. I'm so happy to read this good news, Debby, and will continue to pray that your doctors will know how to manage the pancreas issues. I do love me some croissants! Especially the ones with chocolate in them. God is so good!! That sunset is gorgeous!! Have a great day! I love your photo! I like taking sky photos, myself. Oh, dear friend! How I have rejoiced with you in reading this news!!!!! I am just going to keep on praying and believing GOD that this is NOT cancer, that HE is going to bring you safely through, and this whole ordeal is just going to enhance your Christian testimony in many, amazing ways. He is in control, and He has always been. Even though our world feels like it is falling apart, it is simply falling into place (LOVE that line in the Casting Crowns' song, "Just Be Held"), and He has known our end from our beginning all along. Another song I love during troubling times is "The Shepherd's Point of View" by The McKameys. Surely He is holding you right now and one day you will stand on the mountain looking back over the valley you have just walked through, and you will see all of this from the Shepherd's point of view, and you will stand in awe of our awesome God and His great power and love for you. SO very thankful this morning and trusting God to continue to amaze you through all of this!! I'm so sorry for the health issues you are facing. It seems there are several I know dealing with pancreas issues. I hope you get answers, and that they are good and helpful, soon. I'm glad there is no malignancy. Tough times for you. I will pray for you. We are indeed thanking The Lord for your encouraging news, sweet Debby. Prayers will continue for you as you move forward. Can you believe that my youngest don actually made croissants recently?? I should send you a picture of them. They took over a week because he had to make his own starter! You certainly know how to capture the beauty that Our Heavenly Father creates for us to enjoy. Thank you for doing that for us. So glad to hear the results thus far. Praying that things will be well for you soon! What a beautiful sunset! 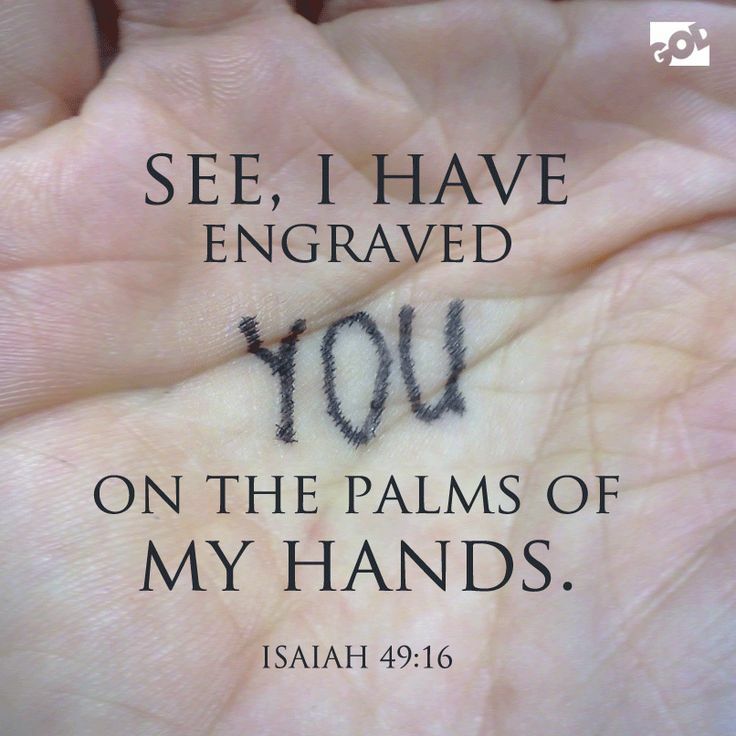 The fingerprints of God! So thankful to hear the updated report, and will continue praying for the Lord to carry you through this situation! Such a marvelous wonderful and amazing God we serve! And oh my, that sunset is just amazing! What a thrill it is to see such gorgeous colors in the sky, like a rainbow! I do love croissants, but hardly eat them, trying to stay away from all those carbs! Always enjoy your Wednesday medley :) Blessings, hugs, and prayers! Sending good thoughts your way, dear Debby, and a big strong hug.